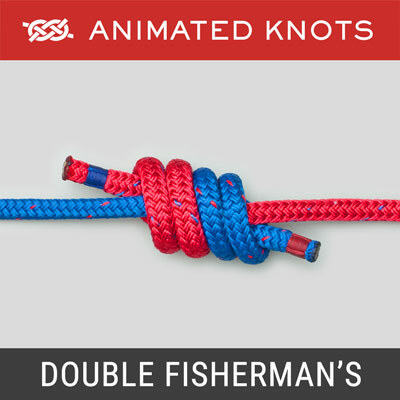 Pass the end around the main (red) rope to make a Half Hitch. Continue around going over the first turn. Tuck the rope between the standing end and the first turn. Tighten to make it secure (this introduces a slight dog-leg in the main rope). Continue around to add a final Half Hitch. Description: The Rolling Hitch Ashley Version 2 (ABOK # 1735, p 298) attaches a rope (usually smaller) to another (usually larger) when the line of pull is almost parallel. To attach a rope to a pole see Version 1 below. Naming: Richard Dana published The Seaman's Friend in 1841 and applied the name Rolling Hitch as we use it today. Until then it was known as the Magnus Hitch or Magner's Hitch; and the name Rolling Hitch had been applied to the Round Turn and Two Half Hitches. Dana's nomenclature was adopted by subsequent authors including Ashley who applied the name Magnus Hitch to the variation of the Rolling Hitch in which the final half hitch is passed around the standing end in the reverse direction and "tends to obviate torsion or twisting" (ABOK # 1736, p 298). Caution: Some modern ropes are very slippery, e.g., Spectra®, Dyneema®, and Polypropylene. A Rolling Hitch will not hold at all in such materials. 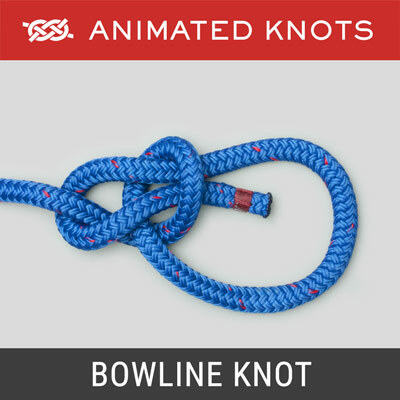 Critical Details: The animation correctly shows that the blue rope is parallel to the red. The "pull" MUST be in line with the main rope (or the pole). 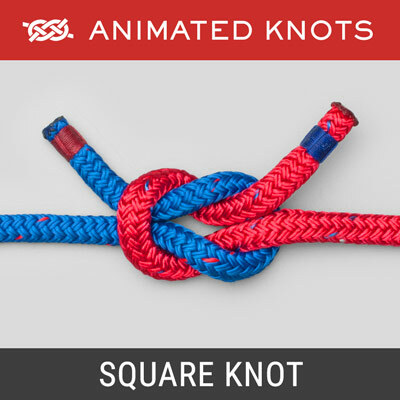 If the tension is away from the standing rope or pole, this knot is likely to fail. Version 1: To secure a rope to a parallel pole, use Ashley's Version 1 (ABOK # 1734, p 298). There is no "tucked second turn". Both of the first two turns are just wound on tightly beside each other. Version 1 grips well on poles and bars but is less secure than Version 2 on rope. 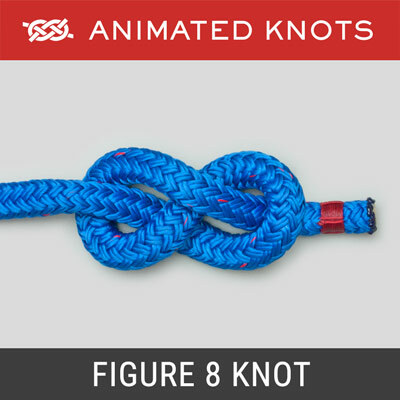 Recent Research: In August of 2009 Practical Sailor reported on their testing of slide and grip knots. Their analysis concluded: "... On more modern line, which tends to be much more slippery, the rolling hitch often slips under load. It may also fail to hold on wire or stainless-steel tubing...." After testing various knots, they recommended the Icicle Hitch as offering the best performance as a Slide and Grip Knot. Uses: The Rolling Hitch is useful to take the strain off a rope with a foul turn on a winch. It can be used to relieve the strain on a hawser while the "Bitter End" is transferred to the "Bitts" but the Rat-Tail Stopper is better. 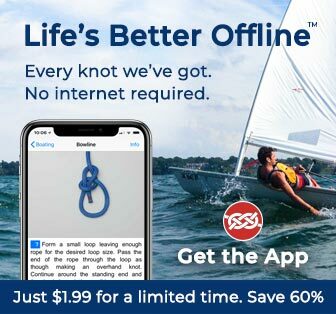 It can also be used to make a Midshipman's Hitch, an adjustable loop in the end of a rope with many uses on boats, e.g., to act as a spring line to a dock or as a boom-vang and, at home, it makes an adjustable Clothesline Hitch. Under Load: The Rolling Hitch is one of the few knots which can be tied and untied with load on. It does not bind and, when tied correctly, does not slip. However, in critical applications some authorities recommend using the tail end to tie a second Rolling Hitch to back up the first. Safety Belt Hitch: Ashley also describes a Safety-Belt Hitch used by Steeplejacks (ABOK # 452, p 74), where three turns, not "tucked up", are used in the first part of the knot before the final Half Hitch is placed. 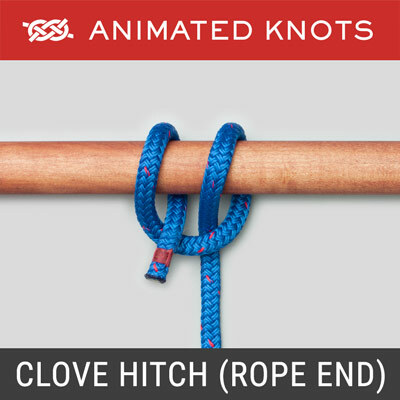 Variation Using a Bight: When there is a long tail end, the Rolling Hitch can be tied using a bight (loop) instead of the end. This is particularly useful when the Rolling Hitch is being used as a Spring Line. However, attention to detail is essential. 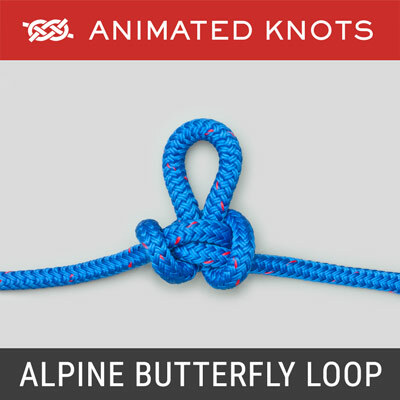 The first part of the knot is tied using one strand of the loop. The other strand is kept out of the way but the bitter end is NOT pulled through. Once the first part of the knot is secure and, as usual, will take the strain, the bight can be used to tie one or more Half Hitches.